As we age, skin produces decreasing quantities of collagen and elastin, making it looser and more prone to wrinkling. The signs of aging can be worsened by exposure to UV rays or other skin damaging agents that can cause sunspots and other skin blemishes. Luckily, there are many products and treatments on the market that can promote the production of elastin and collagen and help skin renew and regenerate; halting and reversing the signs of aging. Microneedling, or collagen induction therapy, is a revolutionary technique that uses a device to create microchannels in your skin which stimulates the skin to produce more collagen and to begin the natural healing process. This results in younger looking and truly firmer skin. It can treat blemishes, wrinkles and other signs of aging. Not all microneedling is the same! 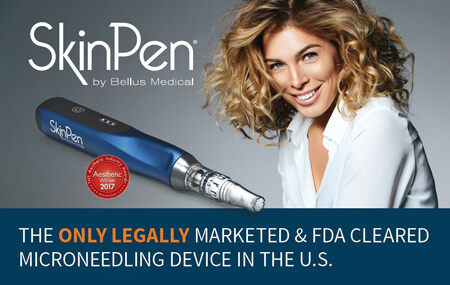 We have chosen to use SkinPen brand, as it is the only microneedling device on the market with not only single-use disposable applicators but a fully sealed device that does not permit any internal or cross-contamination. We also pair microneedling with PRP therapy to help you achieve even greater results of healthier, youthful skin! When you schedule an appointment at RejuvaWell, our coaches will first schedule a consultation to evaluate your skin to determine whether you’re a suitable candidate for this therapy, as well as any of our other service offerings. Sometimes we will recommend services that are different from what you thought you needed. Our phlebotomist will draw a small amount of blood and use a centrifuge to separate the PRP. 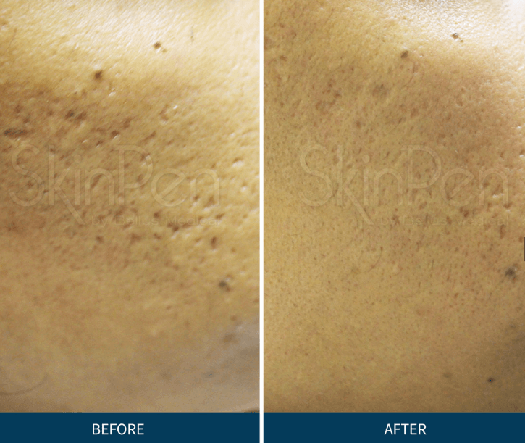 Clinicians simply apply the PRP topically throughout the microneedling process to allow it to seep into the skin perforations. The entire procedure rarely takes even a full hour. 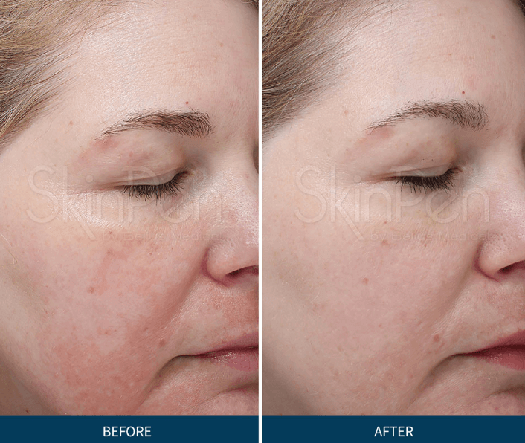 What is PRP and how does it enhance microneedling? Platelet-rich plasma, (PRP) comes from blood and functions to cultivate your body‘s natural growth factors. Although blood is mostly liquid (plasma), it contains small solid particles (red cells, white cells, and platelets). In addition to clotting blood, platelets have hundreds of proteins called growth factors which play an important role in healing injury. The highly concentrated platelets can be 5-10 times richer than what is typically found in blood. PRP has been used for years to treat sports-related injuries and has recently gained in popularity as a facial treatment to reduce wrinkles, remove blemishes and even diminish scars. By combining microneedling with PRP, we boost the body’s natural healing process and enhance the results of microneedling. What are the benefits of combining microneedling with PRP? Firm and improve skin texture. PRP works together with microneedling to help your skin generate new collagen. If you’re concerned about fine lines or uneven skin tone, contact us today to set up an appointment at RejuvaWell and see what a difference this treatment can make.